New from Calliope! Roll for it! and Tsura: Veterans of the Seas Expansion! Roll for it! is everything you want in a game. It’s fun! It’s easy! It’s fast! And it has lots of dice with cards to boot! At its heart, Roll for it! 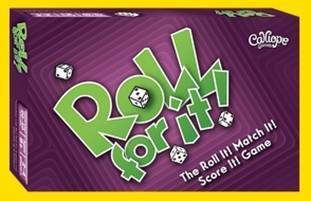 is a resource management game that blends the luck of the die roll with a decision making process that will bring smiles and laughter to everyone at the table. In Roll for it! players try to score 40 points by rolling dice and matching cards of specific point values. 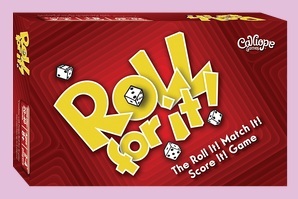 Each roll presents the player with new opportunities and fun decisions to make. The rules are simple: Roll’em, Match’em, Score’em! but look out! Other players may steal the card you’re shooting for! So hurry, pick up the dice and Roll For it! The forces of nature can be as devastating as the wrath of the daikaiju! 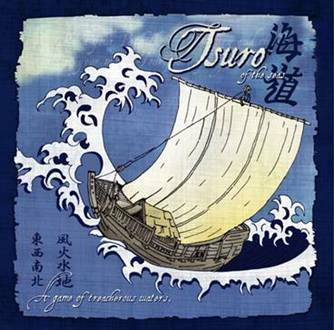 With this Tsuro of the Seas expansion you’ll be able to add more excitement to your game with the Tsunami (Tidal Wave) and Uzushio (Whirl Pool) tiles. However, this tile set also provides you with hope; Taihou (Cannons) and the Mystic Portal (Magic) may help you to overcome the devastation and be victorious! 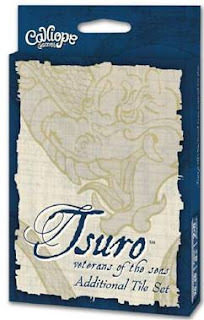 Requires Tsuro of the Seas boxed game to play. Don't forget the base game! In Tsuro of the Seas, you will sail the treacherous waters of the Mystic Seas in an engaging game of adventure and suspense! As the captain of one of the Emperor’s mighty Red Seal ships, you will navigate the seas by placing Tsuro wake tiles to direct your vessel. Take great caution to avoid your opponents’ ships and those mysteries lurking on the horizon and under the sea. Guide your ship with a steady hand and be the last captain sailing to survive the mystic seas and win! Set sail at once! You have a mighty quest to fulfill for the Emperor! New from Konami! Yu-Gi-Oh! 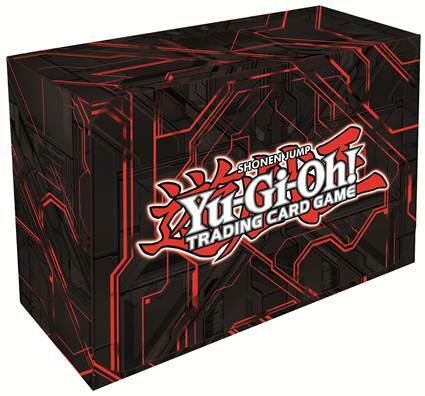 : 2013 Zexal Red Double Deck Box! Duelists can carry their cards with confidence in this durable, double-wide Deck Box! Inscribed with the Yu-Gi-Oh! logo and encased with a cool red Zexal design, the Double Deck Box can hold everything needed to Duel anywhere, anytime! This quality Deck Box is magnet-fastened to make sure its contents remain safe and sound even through the rigors of competition. Each Double Deck Box features a magnetic closure and contains two removable trays and two index boards. New from Gale Force Nine! Firefly: The Game! Retailers: ACD has an exclusive bonus for ordering this product, contact your sales rep today! In Firefly: The Game, players captain their own Firefly-class transport ship, traveling the ‘Verse with a handpicked crew of fighters, mechanics and other travelers. As a captain desperate for work, players are compelled to take on any job: so long as it pays. Double-dealing employers, heavy handed Alliance patrols and marauding Reavers are all in a day’s work for a ship’s captain at the edge of the ‘Verse. 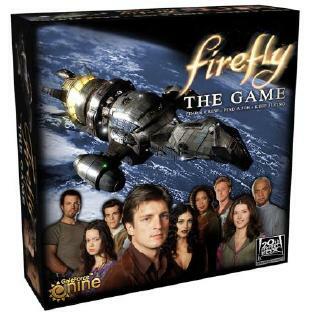 Firefly: The Game is a high-end, thematic tabletop board game from Gale Force Nine (GF9). It will be the first in a series of tabletop hobby board games and miniatures games from GF9 set in the Firefly Universe. New from Wizards of the Coast! Magic: The Gathering Duel Decks: Heroes vs Monsters! Duel Decks are a great way for two players to experience the thrill of Magic: The Gathering by facing off against each other with decks that contain some of the best cards in Magic history. Heroes vs. Monsters let’s players experience the eternal conflict between mighty heroes and terrifying monstrosities. 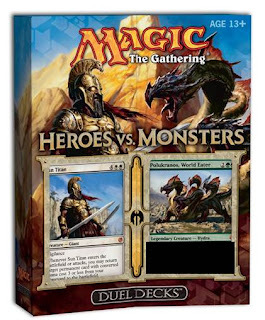 Heroes vs. Monsters offers players the very first chance to play with brand new cards from the upcoming Magic expansion: Theros. Six new cards from Theros are inside, including the jaw-dropping legendary hydra; Polukranos, World Eater. These two ready-to-play 60-card decks include ten rare cards and two mythic rare cards: foil alternate art versions of Sun Titan and Polukranos, World Eater. In addition, there are seven other cards carefully selected from past Magic sets that appear with never-before-printed artwork. New Products from Alderac Entertainment Group! Doom was driven out of Tala. Defeated a second time, Doom sought out another world to conquer and a new method of doing so. It found the Ninth World, Numenera. Home to heroes and monsters unlike any seen before, Numenera plays host to Doom’s attempt to seize control by taking the form of a virus, infecting those now known as Doomladen. These creatures can be human, beasts, or monsters, but all recognize one another and their common master. Can the heroes survive when potentially anyone or anything could be a servant of Doom? Thunderstone Advance: Numenera takes the adventure of Thunderstone to the world of Monte Cook’s Numenera. 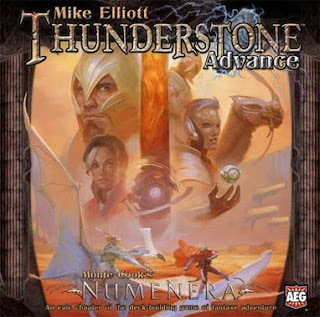 This set features creatures and heroes from the Numenera role-playing game, and expands your Thunderstone set with many new and exciting cards and abilities. From across the land spectators come to watch the arena battles of mythic creatures, and many coins hinge on the results! As a powerful mage, you have the chance to influence the outcome through arcane means. But beware! Other practitioners of the arcane may be in attendance as well, and have their money riding on other fighters. 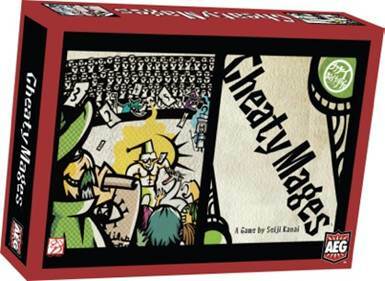 Cheaty Mages is a fast and fun betting game from famed Japanese designer Seiji Kanai (Love Letter, Mai Star). Place your bets, play hidden spell cards on fighters, and try to win the most gold in three rounds!